functions to provide an orientation about what R&D and product development are doing to measure their organization. R&D and product development organizations are behind transaction processing and operations functions in their understanding of measurement and its place in the organization. Six Sigma and Lean initiatives have facilitated great improvements in corporations without significantly benefiting most marketing, R&D and product development organizations. Inventive professionals resist measurement citing that it reduces innovation and invention. R&D and product development measurement practices have not changed significantly over the past 30 years, while other business functions have undergone transformations. Globalization, business alliances and the need for improved organic innovation to gain strategic advantage are driving significant changes in measurement practices for innovative functions. Improvements in the science of management of these activities are on the fast track. Some emergent techniques of a few years ago are now clear trends. Intellectual property, for example, will rise greatly in its importance in the coming decade. This teleconference will provide you with a state of practice snapshot. The key metrics that are likely to pass the test of time will be identified. Current corporate R&D metrics practices will be benchmarked, along with the most frequently used metrics for R&D and product development. A framework that delivers a comprehensive metrics solution that most companies can figure out how to implement without outside assistance will be explained to conclude the teleconference. 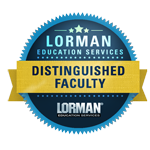 This webinar is no longer available for purchase through the Lorman website. If you would like to purchase the slide deck, please visit the Technical Papers Section of our store and look for product T77.